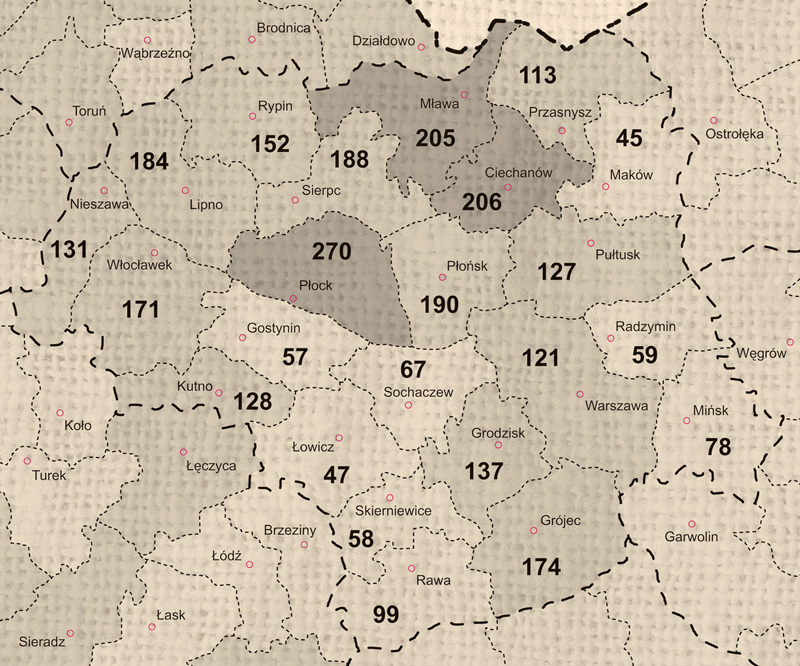 Mapa: Number of estates in the counties of warszawskie voivodeship, approx. 1930. Wyze Mar. Bronowo Kmiece A.